As I mentioned before, KnifeHand is extremely simple – and free, did I mention that? – but also surprisingly addicting. While this game won’t offer too many hours in the replay value department, it does look and feel great, and I will always go out of my way to support a fellow Marine and his/her new venture. Everyone here at SQ is looking forward to the next titles to pour out of SgtBit, and that means you should too! 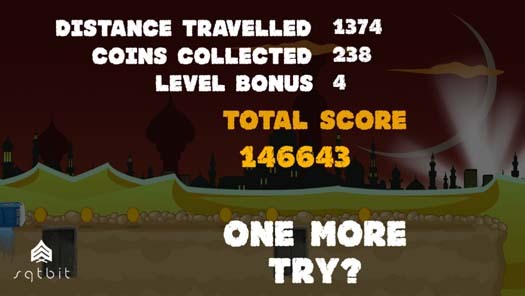 Alright, now on to the high score challenge: my score is screenshotted below – can you top that? Post your high scores in the comments below, although you probably won’t even come close to mine so why even bother? If you’re looking for more iOS games, then we’ve got you covered here at SQ: just hit up our iOS Games We Like tag, and load up your iPhone today! Standby for more here at SQ, and thanks to SgtBit for a very cool title! I read this article on SQ and found it very interesting, thought it might be something for you. The article is called KnifeHand: the iOS Game for Marines Standing By to Stand Byand is located athttps://www.slightlyqualified.com/knifehand-the-ios-game-for-marines-standing-by-to-stand-by.